September has come around pretty damn quick, has it not? My little boy will be starting big school *sniff*, the weather gets cooler (or hotter, apparently - I'll believe it when I see it! ), and it's my birthday. This year I turn 27, and the question "what would you like for your birthday" has been asked a few times, which has got me thinking about what things I would really like. These aren't things I'm expecting for my birthday - just things, that if I had the money, I'd have. MAC Palette - I love MAC eyeshadows. I constantly repurchase my fave few that get used up time and time again, and I'd really like to start a palette. The colours I'd like to put in it are Mulch, Sable, Knight Devine, All That Glitters, Satin Taupe, Retrospek, Rice Paper, Honey Lust and Ploof! - that's all for now. While we're on the subject of MAC there are a few things I have my eye on from up coming collections - the Later pigment from the Alice + Olivia Collection, and then from the Venemous Villains Collection I'm liking the look of Beauty Powder in Oh So Fair, MSF in She Who Dares and Innocence Beware Lipstick. I may change my mind once I see them in the flesh, but from the photos I've seen that's what I think I'll like. 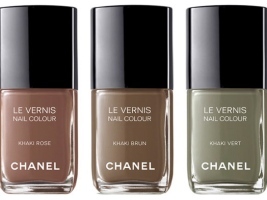 Les Khakis Des Chanel Nail Polish - I love the look of all three of these. If I had to pick one, from the promo photo I'd go with 'Khaki Vert' (right) as it looks so different from anything else, but if I'm honest, I'd like all three please! Muberry Alexa - ok, this is setting my sights high, I know - but I love it! 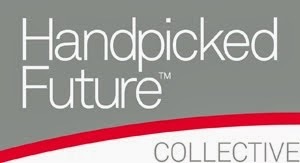 I'm hoping to get some money for my birthday, head down to the outlet at Bicester and see if anything else takes my fancy within my price range. 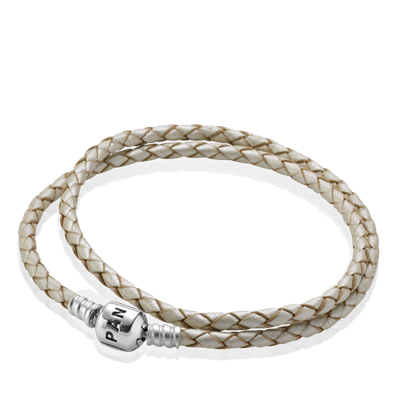 Pandora Double Weaved Bracelet - This is meant to be a charm bracelet but I'd wear it without. It's so simple but something I really really like. Michael Kors Watch - I have only ever had one watch, it was D&G and covered in diamante - most impractical, it caught on everything! I've never really had much need for a watch but since I've started photographing weddings I actually need one. I think the MK5039 by Micheal Kors is really pretty. please note - these are not my images. My birthday is this month too - and my wishlist is much the same as this!! I have been lusting after a Mulberry Alexa since they launched. Lol my wish list is the same.. Well minus the Alexa bag - but I need that watch.